2019: developing a range of projects including "An Italian Country Afternoon" (a concert work designed for regional touring); popup performances on regional NSW Rail platforms for Bach in the Subways 2019; further development of (and fundraising for) "Camelia"; researching "Millicent Armstrong – playwright and farmer". 2018 – popup gig at Gunning Railway Station (as part of the international event Bach in the Subways); provided national anthem for Canberra’s Blake Opal Stakes; created/produced "One Sunday in the City" (a popup classical music event in Canberra Civic in partnership with Wesley Music Centre, funding from City Renewal Authority); directed The BipARTisans, a dropin choir throughout winter 2019 at National Gallery of Australia. 2017 – popup gig at Gunning Railway Station (as part of the international event Bach in the Subways); provided national anthem for National Emergency Services Memorial; hosted residency by voice specialist, Chris Nolan (VCA music theatre) working with WVMT students and with professional artists at The Street Theatre; creative development of "Camelia". 2015 – director/teacher "The Game" (Young Music Society Summer School); "a Song" premiered at Canberra Short Film Festival (won Best Score). 2012 – director, musical director & vocal coach of "A Midsummer Night’s Dream" (performed by 26 x 7 to 12 year olds); repetiteur and coordinator of Canberra adult and children’s opera chorus for Melbourne Opera’s "Carmen" at the Canberra Theatre; presenter of Laban and the Voice workshop (with Sandra Lauffenberger); producer/director/vocal coach/performer on "Under Milk Wood" (an acoustic voice event) for Made in Canberra at The Street Theatre; director, accompanist for performance by junior voice ensemble for ACT Government Xmas Tree event in Civic. 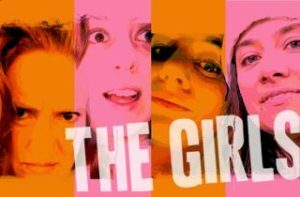 2011 – producer/director/performer on "The Girls" for Made in Canberra (The Street Theatre).